When it comes to monitors in the own four walls or in a studio, then everybody has its own philosophy. One is placing his speakers a little bit higher, another one a little bit lower and still another one tries to form an equilateral triangle with the speakers and the listener. The reason behind all this different behaviours is quite simple: Everybody just wants to listen to the music in the ideal way. 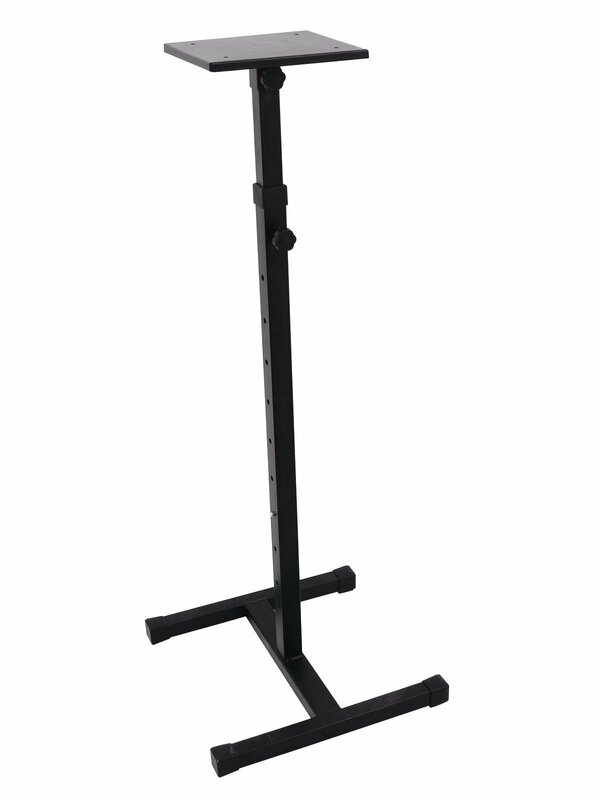 To securely find your way to this goal we like to set our monitor stand to your side. It was made of steel, is suited best for studio monitors and can call an autolock safety-pin its own. Our implement will no let you or your monitors down and definitely help to find the perfect place for your monitors. 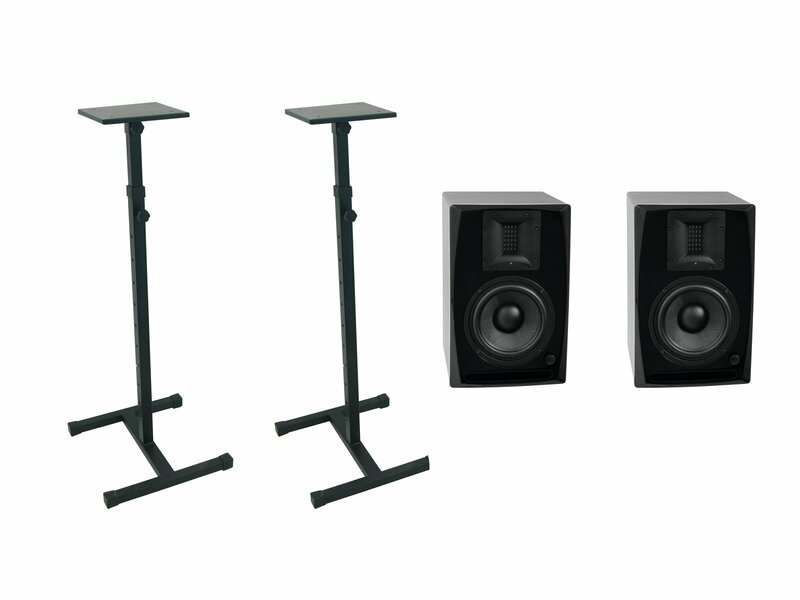 The high-resolution active speaker system ARM-6.5 is ideally suitable as monitor system in studios and for all other applications requiring crystal clear and precise sound reproduction. The ribbon technology enables playback in its most natural from. 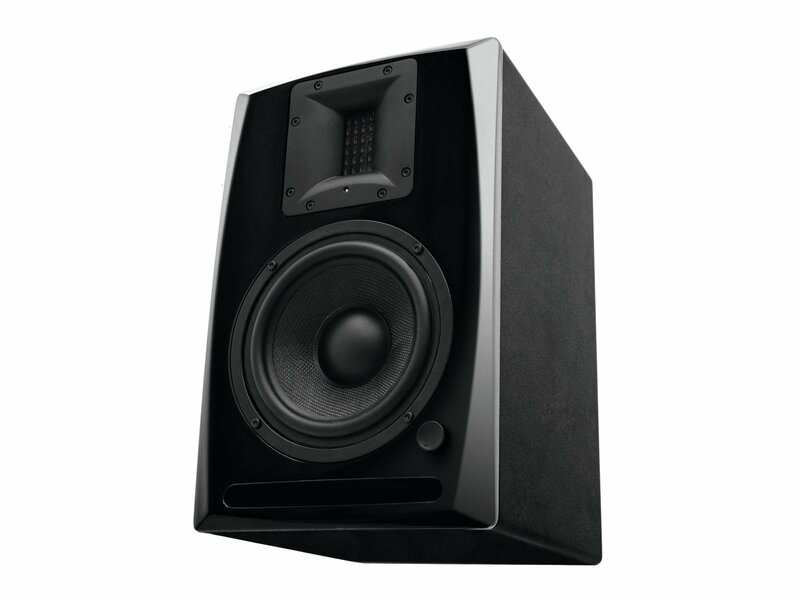 This monitor sounds as natural and detailed as a studio monitor should. It has a 16.5 cm bass-midrange speaker with Kevlar cone for rich and defined bass response and separate power amplifiers (class A/B) for efficient control of the woofer and ribbon transducer. 3 EQ selectors are provided to adapt to various acoustic conditions. The click type rotary volume control at the front allows for precise level adjustment. The amplifiers are protected through extensive protective circuits.